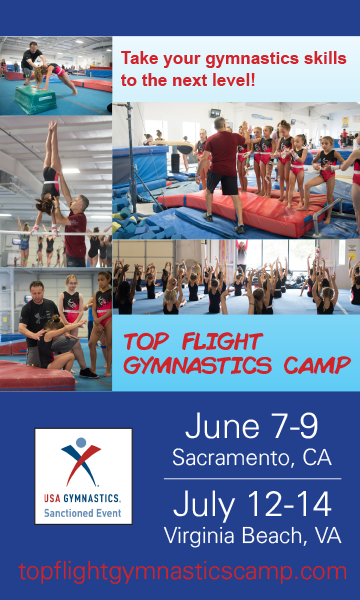 Give your event a name, we recommend starting the name of your event out with the Year like, "2014 Gymnastics Spectacular"
Select men's or women's or both. Please provide a complete web address to your event. Leave this field blank or provide a valid web address in the form of: http://www.yourwebpage.com pointin to your events web page. You can use the popout link icon to test the address you entered. Please enter the web address for your event, this would include a complete web address including the syntax "http://" It is recommended to first browse to your event web address and copy the complete web address from the address bar and paste here. Provide the date your event starts and the date your event ends. These dates should include the the span of the entire event. Individual dates can be created for each meet. Provide the name and complete physical address for the event. In Street Address 2 include the building information, like "Building 2" if appropriate. Please list the name of the club hosting the event. This is an ID that MSO has assigned to you and serves no external purpose. Provide your information and be sure to include a *valid email address*. You will receive an email to this address with a copy of your event registration details. Provide a short description (255 characters max) and long description for your event. Both descriptions are optional. When you first register your event it is a pending status and therefore is not visible on our calendar and results pages. Simply enter in the password you see below to and click the Activate Event button to activate. Your event is now active and can be found on our calendar and results pages. Be sure to save your registration details below, including links to find your event's page and to edit your events details. There are more details available to edit for you event, including managing your meet details when you follow the link to edit. We've already emailed this information to you. If you'd like to send this registration along to someone else, enter one ore more emails (separated with a space) here and click Send Registration.